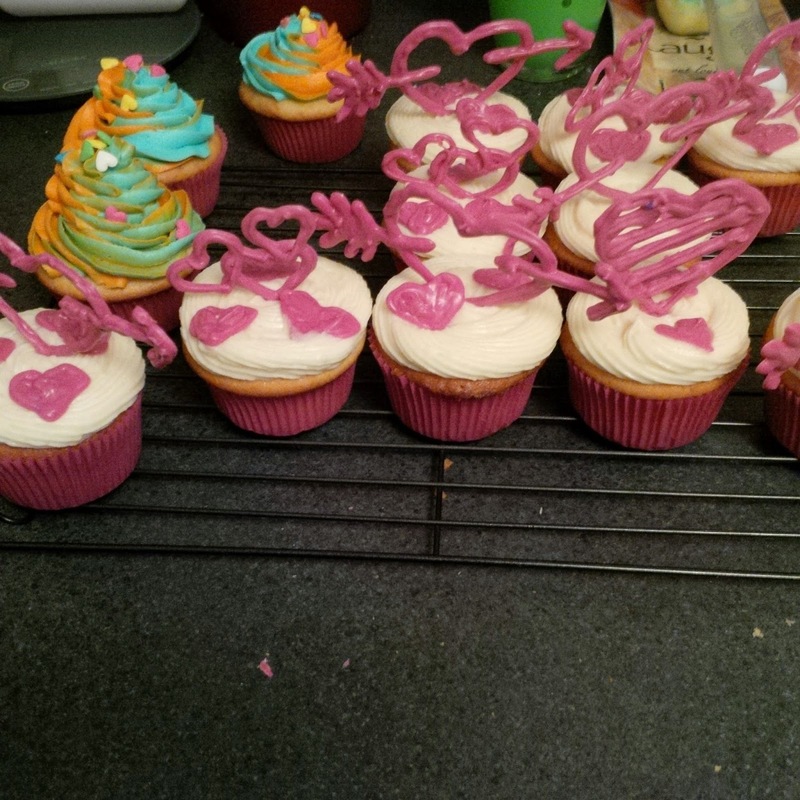 These cupcakes were made to celebrate Valentines Day. Size: 12 regular sized cupcakes. Taste: The flavour was a vanilla cake. 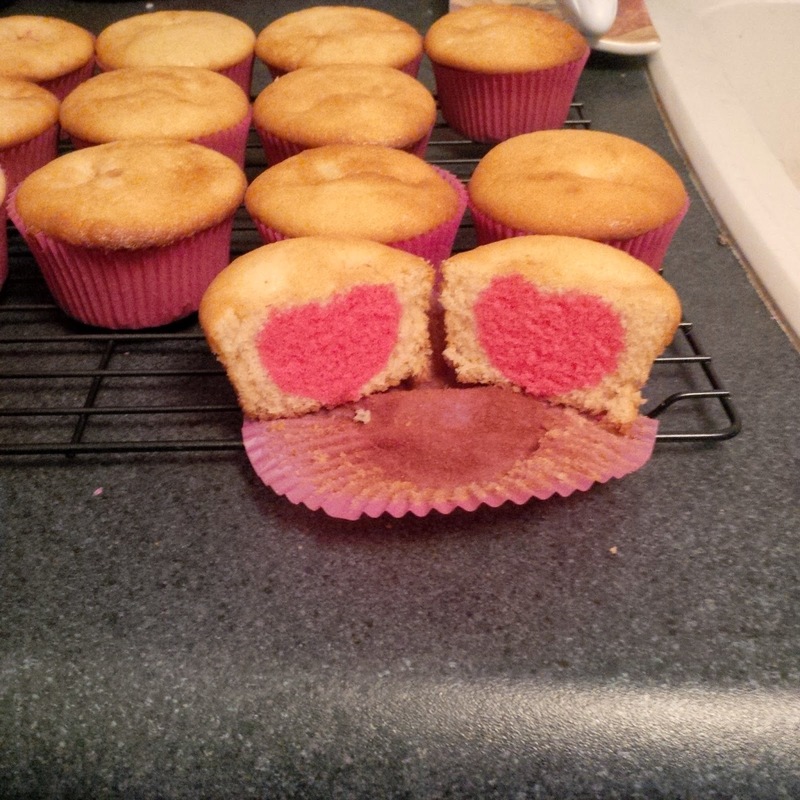 Filling: The surprise filling was a pink heart hidden in the middle of the cupcake!